NGK Spark Plug Wires - Coil on Plug Boot MAZDA - MiataRoadster - Stay tuned with MiataRoadster! Ignition systems have undergone advancements from the days of the distributor cap and rotor. Modern ignition systems have eliminated spark plug wires and distributor cap and rotor with coil-on-plug or COP technology. COP ignition coils are typically non-wearing items, which are replaced only if one has failed. 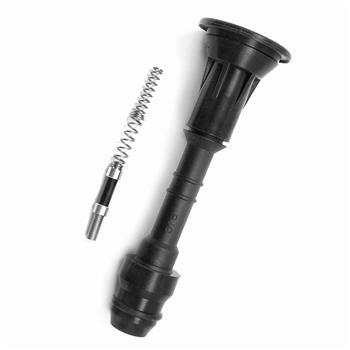 Often COP boots connect the ignition coil to the spark plug. COP boots can become brittle when exposed to years of heat and chemical damage. Cracked or damaged coil on plug boots should be replaced at the time of spark plug replacement. Depend on NGK for your modern ignition needs!